Looking for a new place to live or just curious about what's on the market? Check out our top open houses this weekend. ABOUT: A very rare opportunity to purchase a meticulously renovated, south-facing triple-mint duplex. This spacious, pin-drop quiet 2500 sqft 3 bedroom (possible 4 bed) residence is positioned on the most charming tree-lined block in one of the West Village's finest buildings. . The spa-style master bath offers a double vanity, large soaking tub with a TV and separate shower. A formal dining room, 2 powder rooms, full laundry room, separate media room and a south-facing living room boasting a 28-foot dimension typically only found in lofts, all wired for high end a/v installations, completes an incredibly special property rarely found anywhere downtown, particularly on Jane Street and Hudson. This property lives like a private townhouse yet with the amenities of a full service building. 61 Jane is a full service coop with a 24 hour doorman, full-time Super, beautiful roof deck with uninterrupted views of the Manhattan skyline and has one of the lowest monthly maintenance charges of any property in the area. On-site parking garage in the building. ABOUT: This rare 4BR corner loft is bathed in natural sunlight from 12 windows and captures the true spirit and essence of historic Tribeca. A long entrance gallery ideal for displaying art leads to a sun-drenched Living/Dining room with high ceilings, classic columns, and lush tree-top views overlooking historic Bogardus Park from a wall of oversized windows. The charming kitchen is open to the entertaining area and is ideal for casual dining or staging memorable dinner parties. Nearby, you'll find 4 bedrooms, a separate windowed office, and 2 full bathrooms. Additional amenities include a washer-dryer and copious amounts of storage throughout. Built in 1873 and converted to cooperative in 1979, the building is in excellent physical and financial condition and features a full-time superintendent, video intercom security system, passenger and freight elevators, bike storage, and a beautifully landscaped common roof garden with spectacular views of Lower Manhattan. Occupying the entire east side of Hudson Street between Duane and Reade Streets, the building is located right in the heart of Tribeca's West Historic District with the neighborhood's best parks, schools, restaurants, and all major transportation lines right at your doorstep. ABOUT: Large one bedroom, one bathroom High floor apartment featuring an open kitchen and living room layout at the exclusive new 100 Avenue A condominium on Tompkins Square Park. 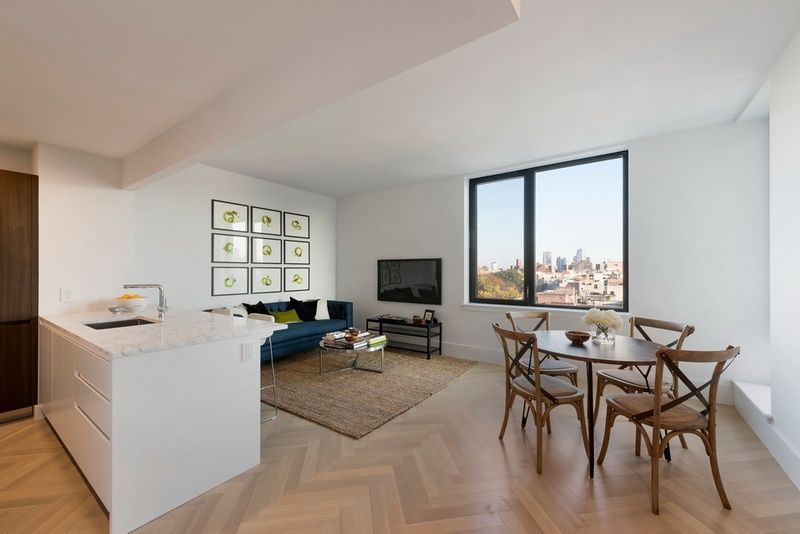 Beautiful white oak herringbone floors throughout and multiple dramatic over-sized casement windows, this light-filled and thoughtfully designed East Village home is the quintessence of New York City living. The kitchens—designed by Effeti Cucine of Italy—feature white Calacatta marble countertops, a herringbone backsplash fashioned with Bianco Dolomiti marble, custom-stained white oak and lacquer cabinets, and a Miele appliance package that includes a refrigerator, oven and cooktop, and a dishwasher. The bedroom comes with its own walk-in closet while the apartment’s bathroom has been adorned with a stained oak vanity with storage and bronze leg accents, Bianco Dolomiti marble wall tiles, chevron-patterned, water-cut marble floor tiles, and a custom medicine cabinet with integrated lighting. A stacked washer/dryer by Miele completes the space. Designed by the esteemed architects of Isaac & Stern, 100 Avenue A is a vibrant new style of premium condominium living not yet seen on Tompkins Square Park. Situated on the corner of East 7th and Avenue A and surrounded by some of the city's most exciting restaurants like Pylos and Miss Lily's, the building reinvents full-service living in the East Village. 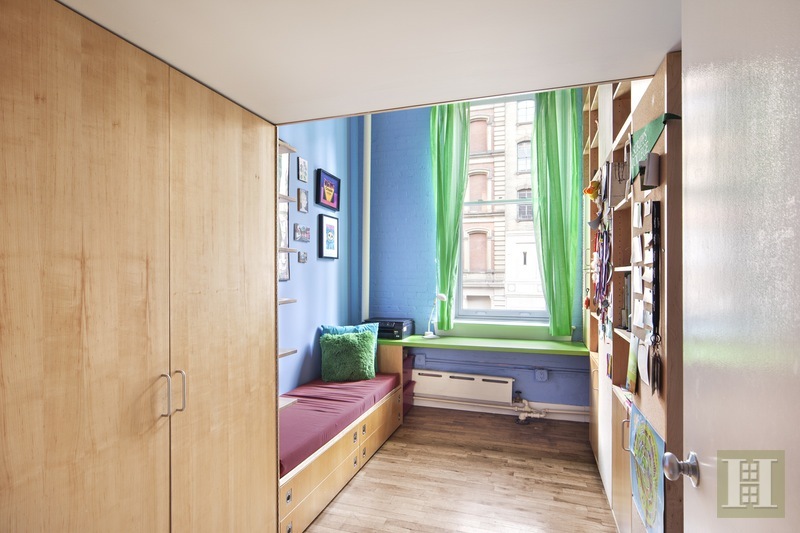 there's a second floor common garden, bicycle storage, residential storage bins for sale, and a 24-hour doorman. The lobby will be wrapped in Blue de Savoie marble slab, bronze-inlaid floors and Lumix quartzite wall tiles—with bronze inlays and walnut finishes installed with individual slats. The building will also house a brand new Blink fitness gym. Off The MRKT’s Top 5 luxury living featuring the hottest products, exclusive events, and more. Spring is here and what better way to celebrate the end of a harsh winter than going to a rooftop and enjoying yourself with spectacular views and amazing food and drinks. Here’s a list of some of the best rooftop restaurants because we know how overwhelming and difficult it can be to choose the perfect one. This spectacular residence captures the best of modern living in a wonderfully convenient locale. The home, approached via a long drive, is set on 2.3 landscaped acres overlooking a lake.